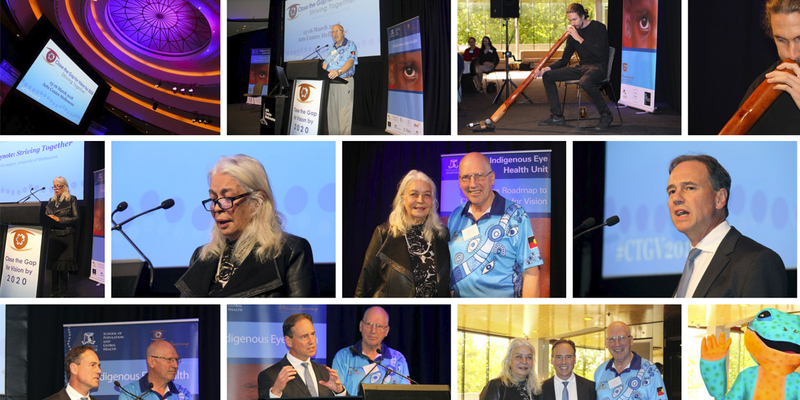 Over two days, more than 170 delegates and over 40 speakers from all state and territories and including representation from community, local and regional services, state organisations, national peak agencies and government came together to share and exchange. 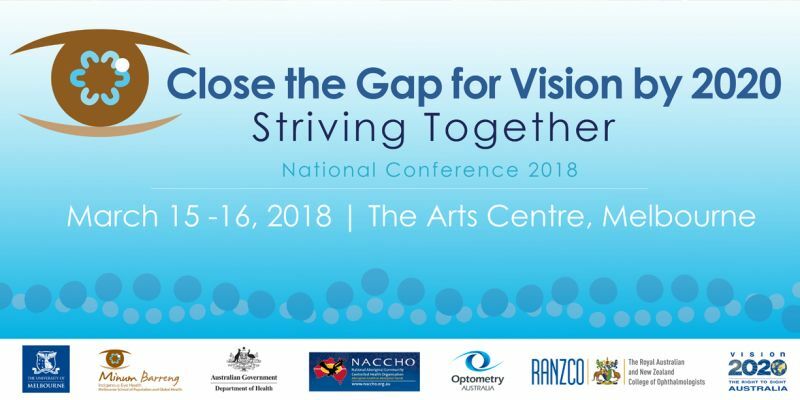 This significant boost in conference attendance from 2017 reflects the growing interest in ‘striving together’ and the many regions across Australia that are now engaged (now over 40 regions, covering over 60% of the Indigenous population) in activities to close the gap for vision by 2020. IEH would like to thank everyone that attended and contributed to the conference and especially the speakers for sharing their thoughts and learnings. Congratulations again to our deserved inaugural Leaky Pipe Awards winners. The feedback IEH has received from delegates and speakers has been very positive and supports the joint commitment to close the gap for vision by 2020. We will look forward to welcoming you to the next national conference planned in March 2019 and in the year ahead let’s keeping working together to close the gap for vision. 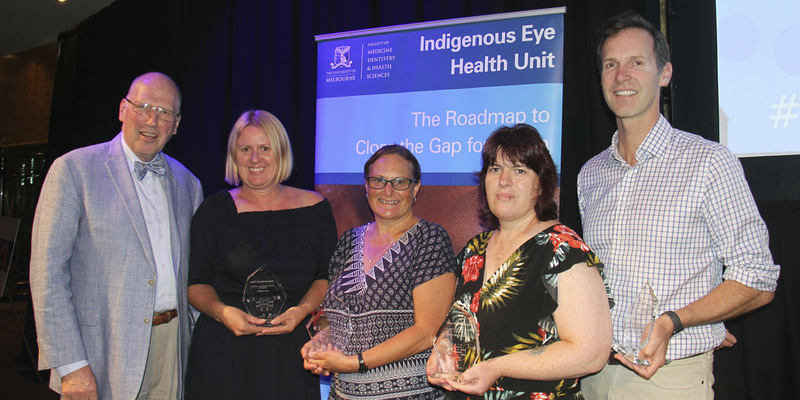 Indigenous Eye Health at the University of Melbourne presented the in augural 2018 Leaky Pipe Awards during the dinner at the Close the Gap for Vision by 2020: Striving Together – National Conference 2018 to recognise and celebrate the achievements of individuals and groups in progressing activities to Close the Gap for Vision. 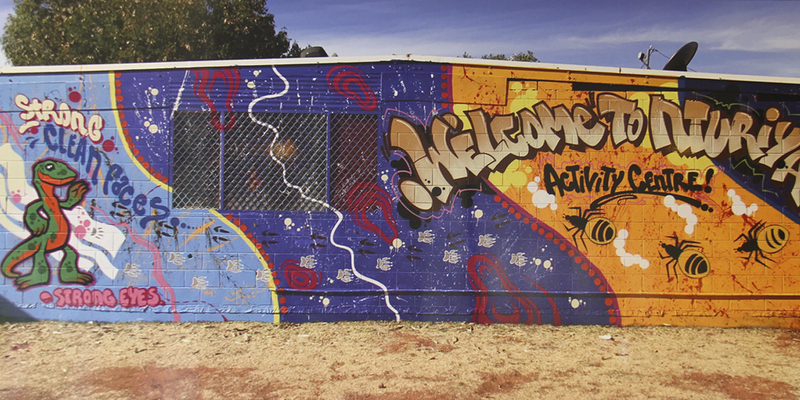 A number of trachoma community art murals were on the display during the close the Gap for Vision by 2020 national conference 2018. Photos of nine art murals were on display for conference attendees to enjoy and discover the dreaming story and meaning behind each mural. A number of media articles have been prepared by partner and other organisations to reflect some of the conference themes, key messages and learnings. Leading up to and during the conference IEH attracted increased media attention to the conference. At the conference, delegates were encouraged to use the hashtag #ctgv2018 for social media posting which generated pointed discussion for those at the conference and those following from elsewhere. 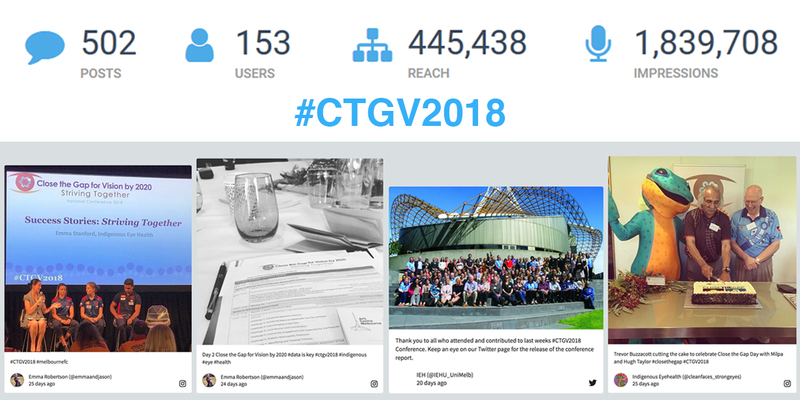 Click hashtag #CTGV2018 to see conference Twitter posts. IEH would like to thank the PricewaterhouseCoopers and Arts Centre Melbourne for supporting the much-appreciated performance by Richard Frankland.